The region can be divided into 2 distinct areas. The first is the Belmore / Tullybrack area, north of Lough MacNean, with the limestone outcropping roughly north-south from Belcoo to Lough Navar. Here the caves are mostly vertical systems which enter extensive horizontal systems. Classic caves in the area include Pollaraftara, Noons-Arch and Reyfad Pot, (at -179m the deepest cave system in Ireland ). The second is the Cuilcagh Mountain area, where the limestone outcrops in a roughly east-west line from Swanlinbar to beyond Blacklion. In this area, deep, choked shafts in loose, chert-rich, limestones typify the eastern part of the limestone outcrop. 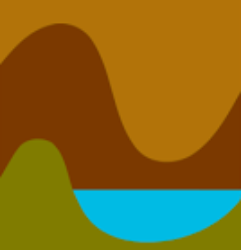 Moving west, extensive active river systems such as Tullyhona, Prods-Cascades and Marble Arch are formed in pure carbonate mudbank-type limestones. 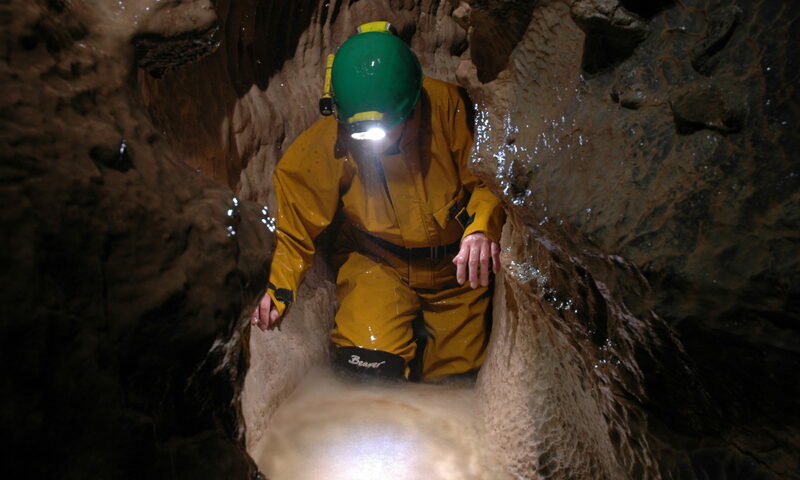 In the western part of the limestone outcrop there are many systems such as in Shannon Cave where active exploration continues. Information on the caves is contained in a number of publications, the most up to date being “The Caves of Fermanagh and Cavan” by Jones, Burns, Fogg & Kelly (1997) this is available from the SUI secretary. Updated information for the area can be found in more recent issues of Irish Speleology. There is only limited club accommodation in the Fermanagh/Cavan area. The Aghnahoo/Reyfad group hut is suitable for groups of up to 6. Marius Leonard has a number of excellent cottages to rent at Corralea, Blacklion, Co Fermanagh. Details on self-catering accomodation in the area can be obtained from the Northern Ireland Tourist Board, or Bord Failte. Local cavers tend to meet in Blacklion, Co. Cavan, in either The Bush Bar or Frank Eddie Maguire’s.